"Truly gifted" "Healing hands" "Immense knowledge" "Consistent results" "Worked like magic" "Still pain free" "A true healer"
Come see why one client called her 'ShaylaMassage' a "Truly Healing Experience"... and another upon leaving said she felt like she was 'on vacation in her own skin'.... Discover for yourself the power of focused attention, extensive education, and awakened compassion. Working together we create a space for a uniquely personalized healing massage session. "Lua Lomi - an ancient Maui lineage." "Lomi- lomi" means traditional Hawaiian massage. There are many 'styles' of lomi- lomi, for traditionally the art was passed down only through family blood lines making lomi as unique and varied as individual families are. Only recently has any of this precious wisdom been shared outside family lines. 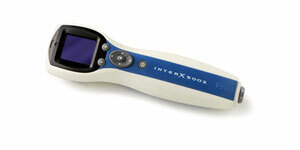 InterX is a patented neuro-stimulation device for treatment of chronic and acute pain. This powerful FDA approved and clinically-proven hand held device provides a professional, non-invasive, drug free solution for pain management.